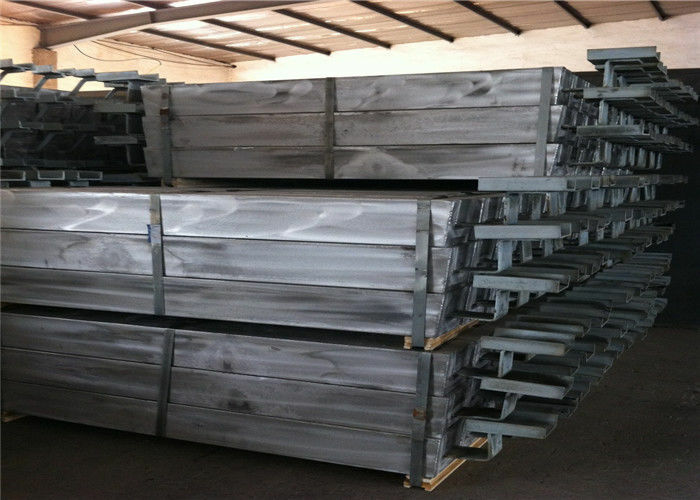 Aluminum anode is a type of anode that can be used safely in all types of water. It has very high current capacity which makes it very attractive in terms of cost and weight saving. It is highly recommended for use in low-resistivity applications. However, they can also be used for effective corrosion protection to the structures in fresh and brackish water. Our anodes are produced from high purity base materials and designed for optimum performance under various environment. 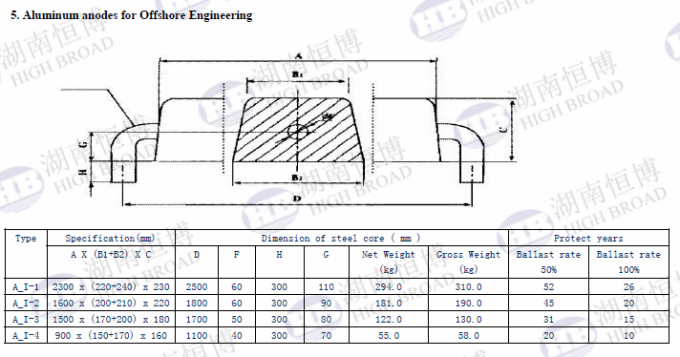 We manufacture aluminum anode for cathodic protection in many applications, such as Ship hull, Ballast tank, Pilling,, Piers, Offshore platform, etc. 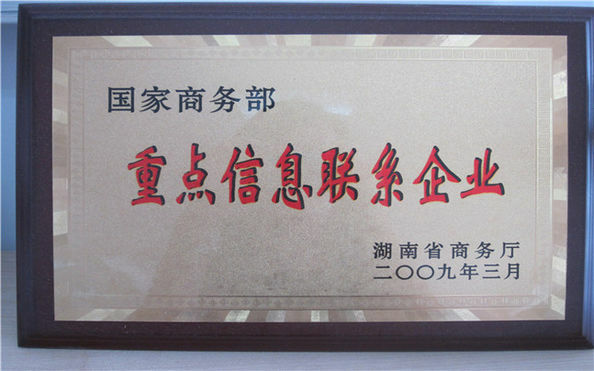 Our products are strictly produced and tested as per American standard ASTM G97. 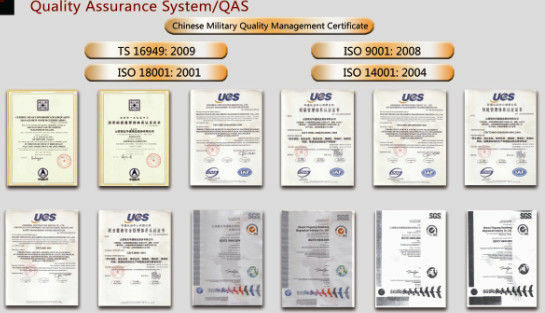 The continuous and stable high quality products can save your cost! You need goods urgently ? Delivery time A.S.A.P.but plant delivery time is 20 days later ? You can't wait ? Contact us ! We build enough stock of regular shape anodes enable us to make prompt shipment.